Join us this summer in Myrtle Beach SC for PFI 2018! The Pellet Fuels Institute Annual Conference highlights the various applications of densified biomass, as well as trends and best practices within the densified biomass industry. It attracts a broad range of individuals from the public and private sectors, academia, and local, state and national governments from North America and beyond. The conference features two days of educational sessions as well as industry exhibits and extensive networking opportunities. The Pellet Fuels Institute is a North American trade association promoting energy independence through the efficient use of clean, renewable, densified biomass fuel. PFI is comprised of nearly 100 member companies including fuel manufacturers and equipment suppliers, as well as organizations representing non-profit, university and government sectors. 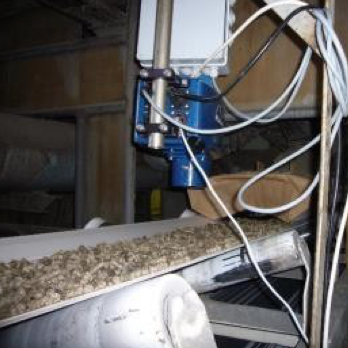 Moisture measurement and control is a crucial aspect of the wood pellet manufacturing process. MoistTech’s new IR3000 Moisture Sensor allows you to do instant, non-contact, continuous moisture measurement. Manufacturing wood pellets requires the refining, drying and blending of wood waste prior to entering the pellet press. By integrating MoistTech’s IR3000 into the process, users can monitor 100% of their product quality, instantly and consistently. 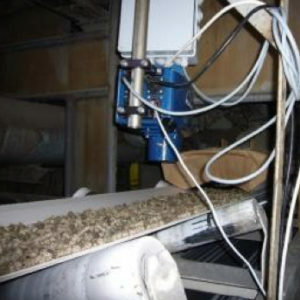 Measuring moisture throughout the wood pelletizing process will produce pellets at a specific moisture percentage preventing the out of specification when the product is too wet or too dry. Additionally, pro-active adjustments can be made to the process, to optimize pellet manufacturing. Contact us for more information on your application specifics today!